Excellent presentation over Viracon's new BIG GLASS & new VTS from Viracon's Product Manager Brian Savage, at the Texas Glass Association - North Texas Division Member meeting. Texas Glass Association 's TEXPO 2018 kicked off with a bang. The golf scramble was a great event which Armor-Guard Protective Coatings, Inc. was proud to sponsor. Great thanks to Kyle Jones, Sam Hill and all participants! Over $100,000 raised for scholarship programs for the Dallas Center for Architecture! Always happy to host METROCON Expo & Conference annual sponsorship soiree! PGP sponsoring CSI Dallas Chapter annual golf tournament. Great afternoon spent on the course! PGP sponsoring at HKS annual golf tournament. We hope you all had fun & enjoyed the personalized PGP Callaway Golf Balls! Thank you to Viracon's Regional Manager Mike Winkler and Director, Marketing Manager Annette Panning for flying in and presenting on behalf of Viracon’s brand new coatings and oversized glass. Back in April PGP sponsored the Texas Glass Association - North Texas Division Annual Fishing Tournament this year. Although our PGP team didn't place, they enjoyed a great weekend out on the lake. The architectural community continues to use PGP's live mock-up wall. Great way to view glass inside and out, match spandrel, compare coatings / performances and the best part - it's free to use. You tell us which Viracon glass you want to see and we will make it happen. PGP was honored to host the AIA Dallas COLUMNS magazine directors in our Design Showroom last night for their retreat. Thank you all who attended, and thank you to our catering by District Food & Wine ! 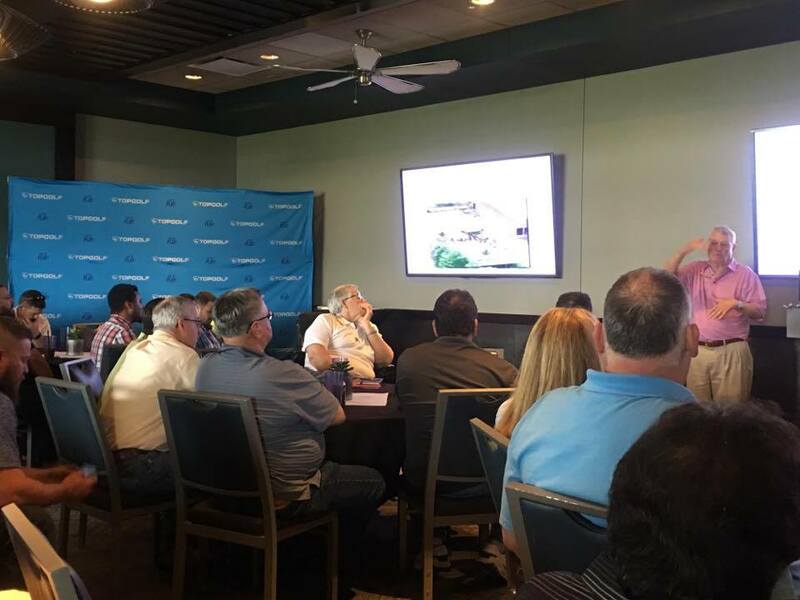 PGP along with GE Johnson Construction Sealants sponsored on behalf of the North Texas Chapter of the RCI, Inc. at their annual Topgolf Learning Program / Event. Great day of learning and golfing with building envelope consultants. 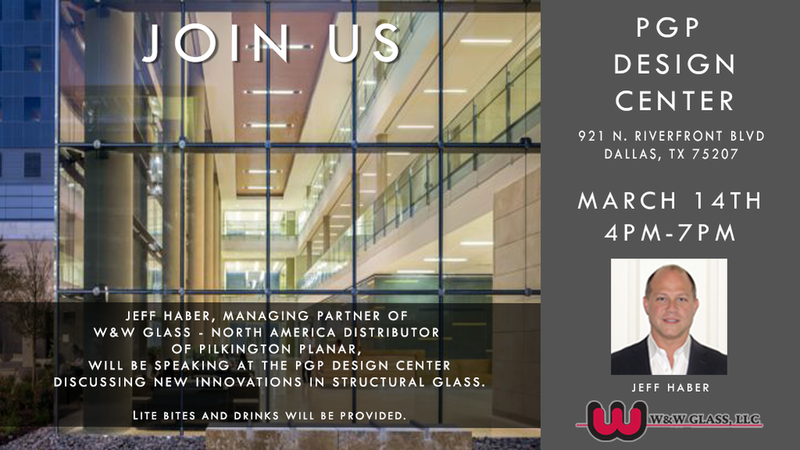 PGP had the opportunity this month to host a Happy Hour at Gensler Dallas featuring Viracon , Kawneer , Vetrotech Saint-Gobain North America & Bendheim Channel Glass. Thank you to everyone who attended! We were honored to have National Organization of Minority Architects - Dallas/Ft. Worth Chapter , AIA Dallas , and Dallas Center for Architecture at our Design Showroom in the Dallas Design District last night as they held their reception honoring the 2017 AIA Gold Medalist Paul R. Williams, FAIA and AIA Minority Fellows. Congratulations to all who were honored and thank you again to everyone who came! We hope to see you back soon. 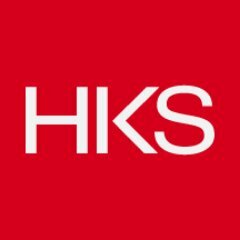 In honor of Earth Day, HKS annually hosts a firm-wide Green Week to raise awareness about sustainability. 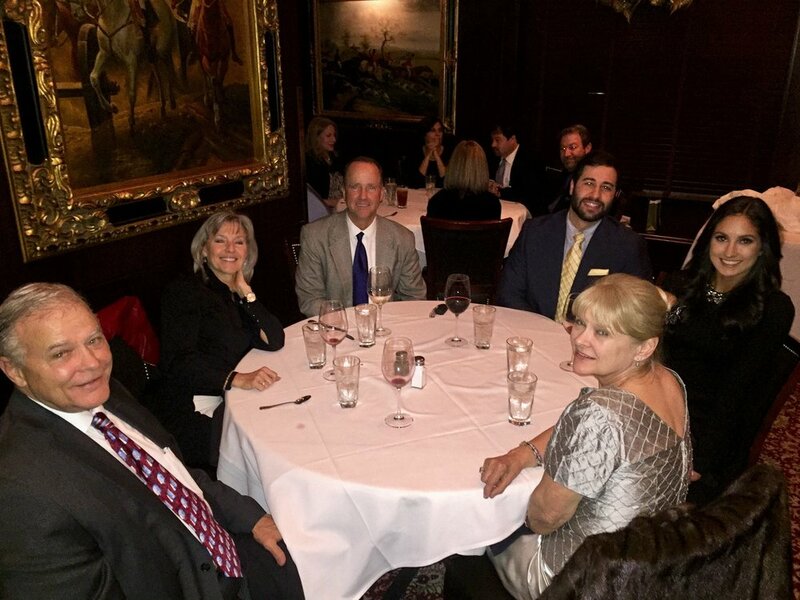 Kawneer is a proud sponsor each year at HKS Dallas Green Week. Kawneer provides high performing, sustainable solutions with their products and continues to challenge the status quo -- all while practicing social and environmental responsibility. Thank you Gensler for inviting us to your Exterior Expo! Such a fantastic way to meet everyone and showcase what's new in our exterior division. We had a full table showing off Bendheim Rain Screens, Kawneer, Vetrotech Fire Rated Glass, and Viracon. Thanks again to everyone in attendance! Great way to celebrate Earth Day this year at Corgan's Eco-Expo Lunch & Celebrations.Thank you Corgan for the invite! PGP is proud to represent products that are environmentally friendly. We have many different products with certifications such as: HPD's, EDP's, Cradle-to-Cradle, and products that help achieve credits for green building projects. 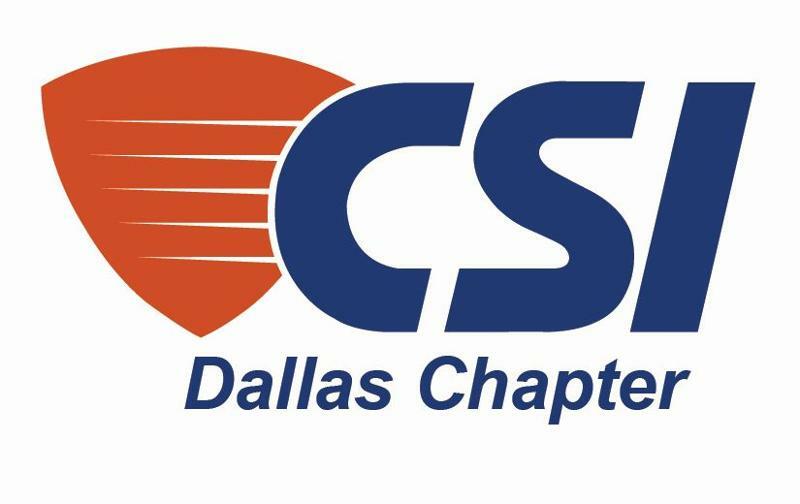 PGP had the honor to sponsor the April CSI Dallas Chapter Meeting. Along with hearing more about Poly Printing - highlighting the changing technology in 3D printing, CSI Dallas also awarded the winners of their 3D design competition for UTA students. Great night seeing what's new in 3D printing and a big congratulations to all the UTA students who entered the design competition! Check out the newest update to our website. We now have an up-to-date list of all the AIA / CEU Lunch & Learn presentations that we offer. We can come to your firm, or we encourage you to use our Design Center for your next group AIA presentation. Please contact Amber Jones for further information. PGP was proud to sponsor CSI's booth this past weekend at the Form Follows Fitness 5K benefiting the Dallas Center for Architecture. Way to go Vic Domhoff and Amber Jones for competing with CSI's 5K Team! Great week with Bendheim in New York for their annual sales meeting. 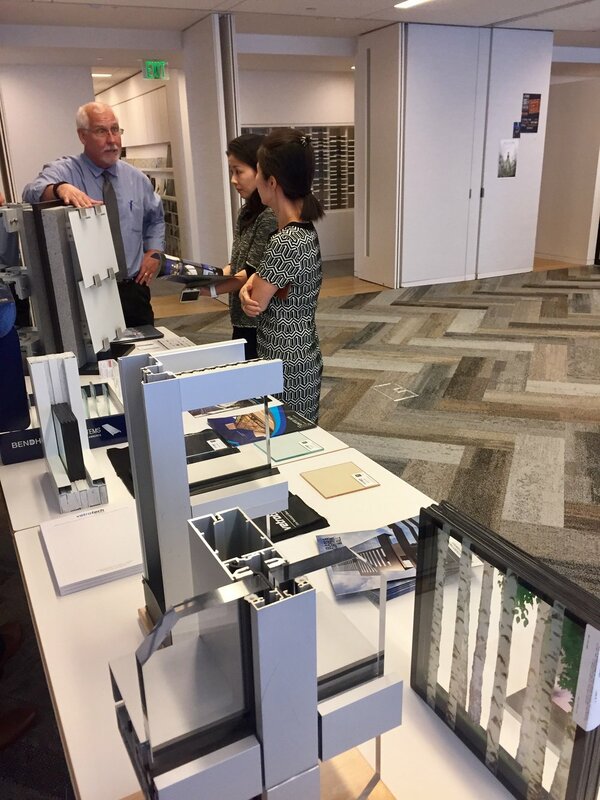 PGP team gets to explore some of New York City viewing the W&W Pilkington Planar's projects throughout the city. Metrocon17 Expo and Conference Sponsorship & Soiree hosted at the PGP Design Center. 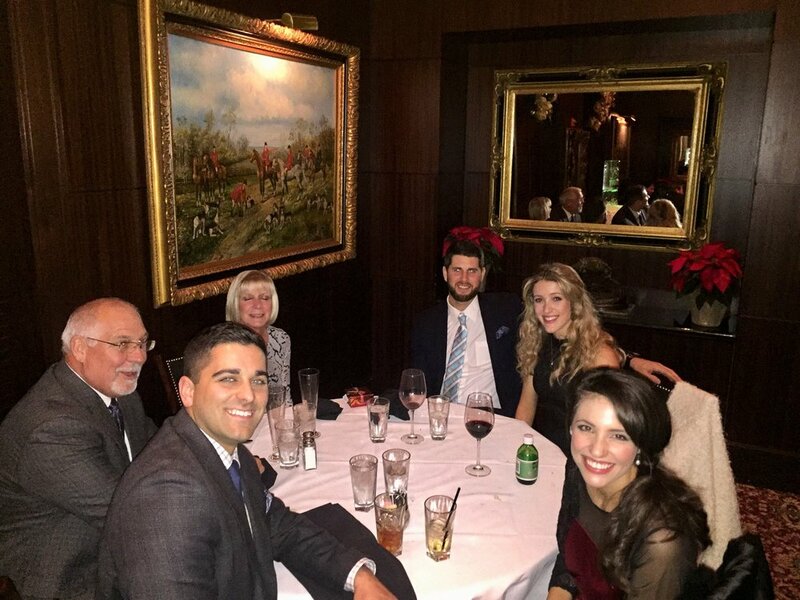 What a fun evening at the Capital Grille celebrating a successful year with the team. 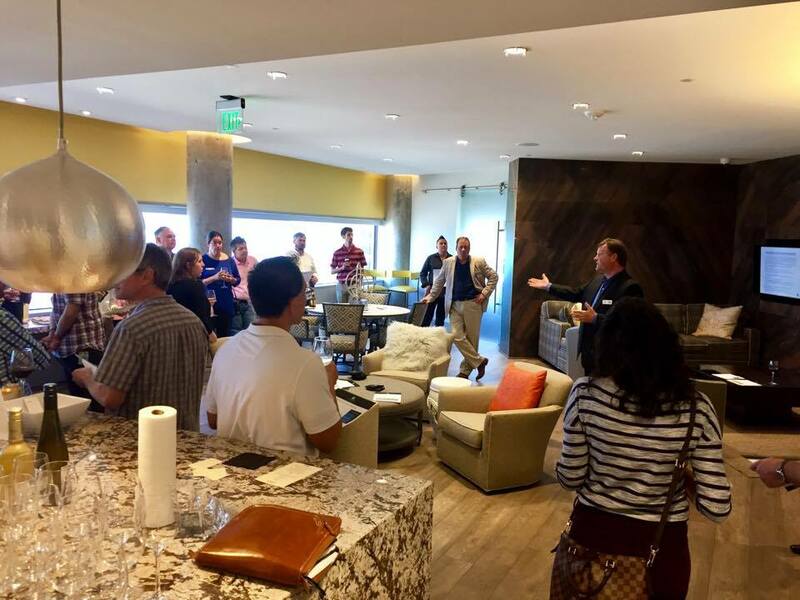 PGP had the pleasure of hosting the last The Architecture Happy Hour of 2016! This group founded by Dallas architects, Laura Davis, AIA and Holly Hall, AIA CAPS at HPD Architecture started The Architecture Happy Hour to focus on building relationships among design and construction professionals, generating quality referrals, and doing business with people we know and trust. What a great turn out, thank you to everyone who showed up and a big thank you to our fantastic catering by The District. PGP exploring a little of Seattle during training for our fire-rated line- Vetrotech. 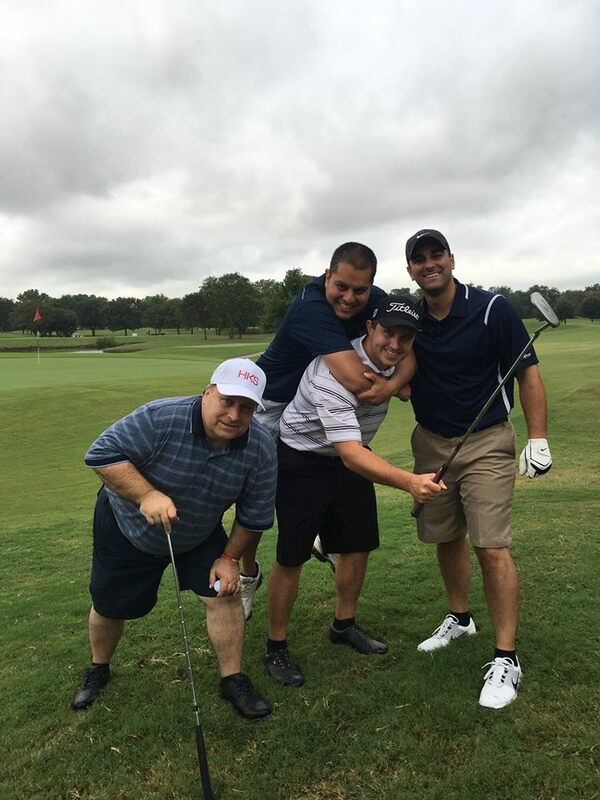 The PGP team enjoyed the fall weather and a round of golf at the HKS Golf Tournament. PGP announces their representation of United Skys in August. United Skys has over 30 years of expertise in the development of large architecural enclousures, United Skys has provided clients with the possibilities of creating skylights utilizing custom extrusions and design. Anything from large geometric shapes to simple ridges and everything in between. PGP will be responsible for the Sales and Marketing activity of the state of Louisiana for Alumax Shower Doors. 921 N Riverfront Blvd, Dallas, TX 75207. The opening of the Dallas Design Center will be June 2014. PGP is pleased to announce the addition of Austin Jones for the North and West Texas areas. He will be responsible for Sales and Marketing for Alumax. Austin has a Bachelors Degree from Stephen F. Austin University in Finance. PGP will be representing Alumax who has been a leading US bath and shower enclosure manufacturer since 1949. With a national sales team and thousands of distributing shower door dealers nationwide, they are committed to total customer satisfaction as well as the production and on-time delivery of the highest quality shower doors in the industry. PGP announces agreement with Viracon and Kawneer at TEXPO. Larry Long joined PGP in 2010 after many years as the President and Owner of Texas Wall Systems. He has now joined Kyle Jones as an owner of PGP. Jones and Long combine over 60 years of industry experience in the Curtain Wall and Glass Industry. "Premier Glass Products" now known as "PGP" (new web-site and email addresses). Because the agency's representation now includes products other than "Glass Related" products, "Premier Glass Products" is now known simply as "PGP". The company's email addresses (example - kjones@pgp-usa.com), web-site (pgp-usa.com), and office phone number (888-PGP-1161) have all been updated, as well. Premier Glass Products establishes (5) divisions within their agency. Premier Glass Products was established in June of 2003. Kyle and Pat Jones began the agency representing companies with a primary focus on the Glass and Glazing Industry. Over the past 8 years, the agency has expanded its representation to include not only the "Industry Leading" companies in the Glass Industry, but also the leading companies in the Panel Industry, the Door Hardware Industry and Window Industry. Premier Glass Products is recognized as Firestone Metal Products "Agency of the Year". Premier Glass Products received Firestone Metal Products 2011 Growth Award and the Company's Agency of the Year - Gold Metal Award. This division of "Premier Glass Products" is led by Vic Domhoff - Director of Panel Products. Both awards were presented to the agency at Firestone's National Sales meeting in Orlando, FL. Bob Larson joins Premier Glass Products. Bob Larson, who is no stranger to the Texas Glass Industry has joined the agency of Premier Glass Products as the "Director of Hardware". Bob brings 29 years of glass experience with extensive knowledge of the Texas market and expertise in both commercial glass and door entrance systems. He also has working experience with GANA in both the Insulated Division and Heavy Glass Door Design Guide and ASTM Glass Standards Division. Bob will continue to live in the Houston area and will be responsible for the agency's sales of Texas and Oklahoma.